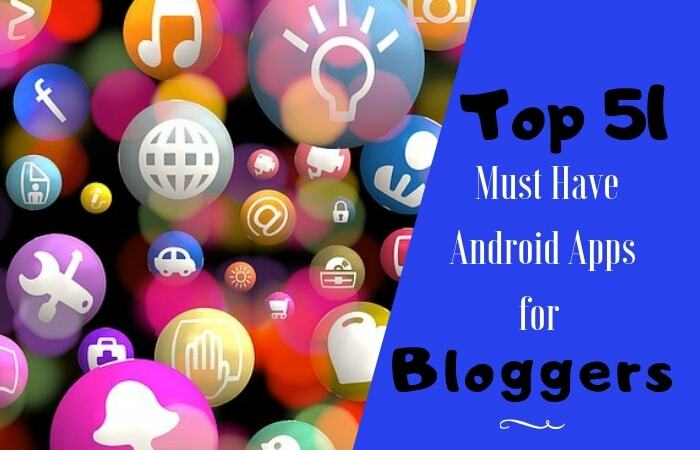 Must Have Android Apps for Bloggers in 2019: Are you looking for best Android apps for Bloggers in 2019, which will make your blogging more easier than ever. Today I am going to share with you about Top 51 Must Have Apps for Bloggers in 2019. All these best Android apps for bloggers will sometimes need you in your blogging carrier. SEO Backlink Checker is a free Android app and most useful Must Have Android Apps for Bloggers. This free Android App will let you check or find all the backlinks of your competitor if any backlinks available on their webpage. Copy the URL of your competitors' post or article and paste the URL in this Android app. This Android app will find you all the available backlinks from that post or article. The SEO Keyword Finder is an all in one keyword finder Android app and it is free. This can be a most useful and must have Android app for Bloggers in 2019. This Android app has useful tools like SERPSTAT, KWFinder, Google Trends, UberSuggest by Neil Patel, WordTracker, TEJJI, Answer the Public and many more. Choose an option from this Android app, then just type your desired keyword with a targeted country. This Android app will help you will find low competition keywords with high traffic. Not only this, this Android app will let you find ranked pages or websites with their estimated daily traffic. Alexa Rank Checker: This Android app is very helpful for bloggers to find the Alexa ranking of any particular blog or website. This Android app lets you find the Alexa ranking of any website with their organic search graph. This is a simple, lightweight and best Android App for bloggers for checking the Alexa ranking and annual organic traffic. 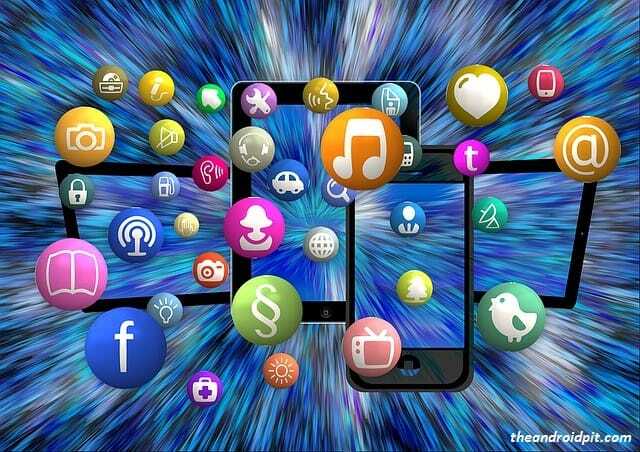 Social Networks: This Android app has all the social media networks that a blogger needs. This Android app is the most useful and must have Android app for every blogger. The Android app has all the social networks like Facebook, Instagram, Skype, Twitter, interest, LinkedIn, Tumblr, AOL, Reddit, Telegram, Snapchat, Imgur, Medium, and many more. 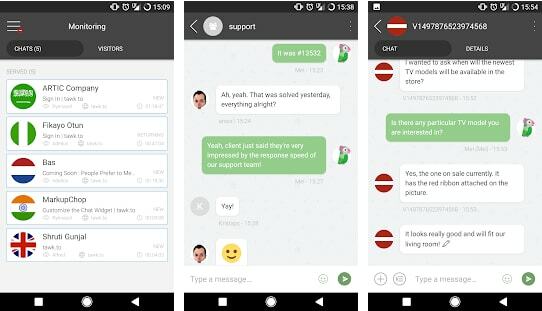 Post Management Tool: Believe me or not, this Android app will save your time and make your works easier. This Android app is one of my favorite must-have Android apps. This Android app has some exciting features like - auto posting, auto-sharing, auto group joining, auto page invitation, auto friend adding, auto-accepting friend request, auto liking, auto commenting etc. 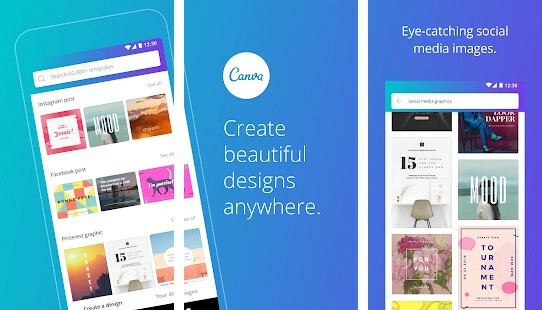 Canva: With the help of this Android app, you can make or design some incredibly straightforward blog banner, blog post image, eye-catching logo, blog graphic and many more. I personally use this Android application to create images for my blog, this Android application is just awesome. Moreover, it is free to use. You can also create other images or designs like - poster, flyer, business card, invitation card, YouTube banner, YouTube thumbnail, infographics, presentation, Facebook post, Instagram posts, email header, menu, cards, and many more. Overall, this is a good Android app for bloggers. Pixabay: Pixabay is an Android app where you can find the expansive determination of excellent free stock photographs and high-quality royalty free or copyright free photos. The app is very handy and easy to use with simple interface. 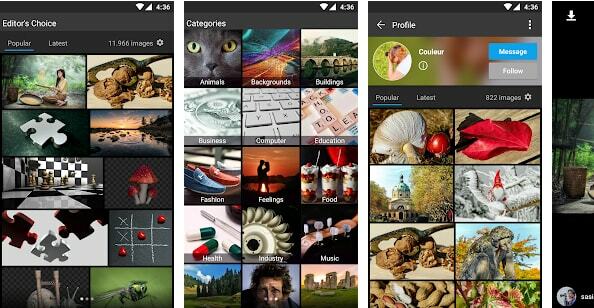 The Android app, Pixabay, has more than millions of stock images, Pixabay includes several pictures in a consistent schedule which are always free to use. A user can easily manage the images within the app. This is also a best must have Android app for bloggers. Pexels: The Android app Pexels is an alternative of Pixabay. If you do not get any images there then, you will find it here that you are looking for. This Android app also has huge collections of amazing royalty free images. The Tawk.to is a live chat Android app for bloggers. You can create a live chat option for your blog, where your visitors or readers can live chat with you. You can also monitor your visitors. The Android app will show you all the information of your visitors like, their IP address, country, the state, also with what they are reading on your blog. Overall, this is also a best Android app for blogger. 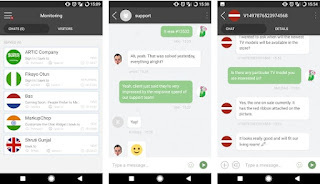 Must download this Android app and create a live chat option on your blog. MailChimp: With the help of this Android app, MailChimp, you can create RRS newsletters (auto blog post sharing) for your blog. You can also send free emails to your blog subscribers or readers to bring them back to your blog. With the help of this Android app, you can also catch emails of your new blog visitors. Overall this is a most useful and the best Android app for bloggers, to keep your blog readers get-in-touch with your blog. 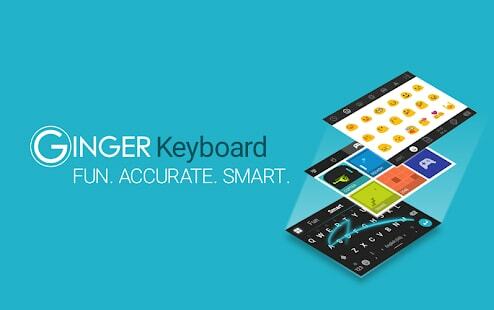 Ginger Keyboard: This Android app, Ginger Keyboard lets you send better, less humiliating and best quality writings. The Ginger Keyboard lets you write mistake free writing with proper grammar and punctuation. This is the best Android app for bloggers for mistake-free and accurate writing. Screen Master: The Android app, Screen Master is a photo editor and photo markup tool. As a blogger, you will usually need this Android app to edit and markup on your photos and screenshots. 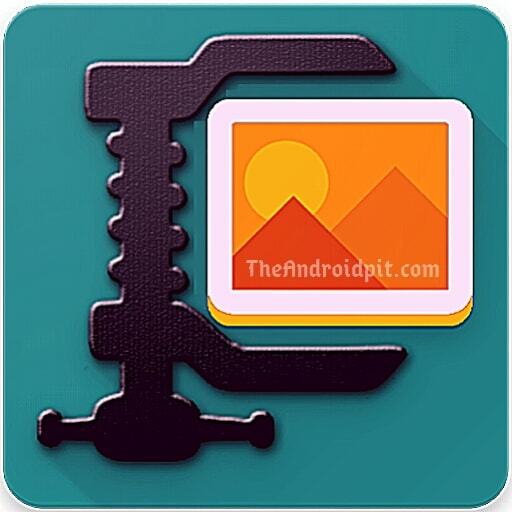 This is the best Android app for bloggers for photo editing and markup with a simple user interface. Writer Plus (Write On the Go): Writer Plus is the best Android app for bloggers for writing posts. The app supports Heading 1, Heading 2, Heading 3, Italics, Bold, Underline, Bullets, Numbering, Alignments etc. The Android app is lightweight and very user-friendly. G Trends: This Android app is very useful for all bloggers, this Android app can help you find daily news in just a few minutes. With the help of this app, you can know about the trending topics country wise. The app is free to use. If you are a serious blogger, you must use this Android app. English Dictionary: The Android app is basically an English dictionary or wordbook app. The app explains the meaning of English words in offline mode for free. All the meaning and definitions depend on English Wiktionary. 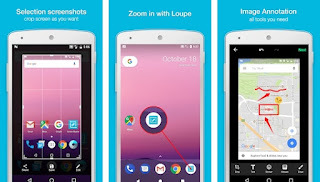 The Android app is fast, straightforward, purposeful to use with a simple user interface. As an evergreen blogger, sometimes you need to find the meanings or definitions of some words. Then you start finding that word on the internet. If you download this Android app, you do not need to go to the internet to find the meaning of a word. Article Spinner and Rewriter: The Android application is the proficient text rewriting and spinning tool. With the help of this Android app, you can generate a distinctive, unique and high-quality article in a few seconds. Just present your article in this app and this app will transform your article into a special, unique and high-quality article without changing its meaning. Drive: You may already know about this Android app. If you do not about this Android application, let me introduce this Android app to you. The drive is a free and safe place where you can store your personal data and files. As a professional blogger, you may need to store many files and data in your Android smartphone, which consumes a lot of space on your device. To overcome this problem, you can use Google Drive, which will save your device's space. Moreover is safe, secure with a simple user interface. Overall, Google Drive is the best Android app for bloggers for storing data and files. 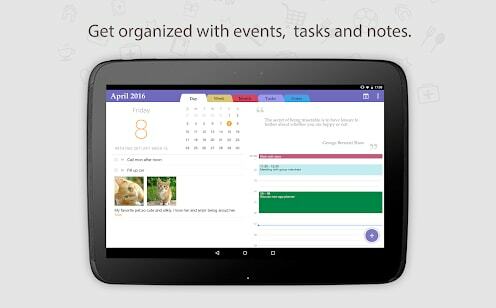 Planner Pro: Planner Pro is a personal organizer Android app, with the help of which you can manage day notes, daily or weekly blogging tasks and other plans easily. You can add new events and also can edit them. You can also set the priority for your tasks or events. Overall, this is also a very useful Android app for serious bloggers. I personally use this Android app for planning my daily and weekly tasks for blogging. GUS (Google URL Shortener): GUS is a Google URL shortener app for Android, but it is not an official app by Google. As a blogger, you need to share the URLs of your blog posts into different places and platforms and with different persons. With the help of this Android app, you can share your URLs in very short form, which doesn't look spammy and it looks good. URL Pinger: As a blogger, you need to manually submit your new posts' URL into the different search engine. This consumes lots of time to submit URL manually into different search engines. With the help of this Android app, you can submit your new post's URL in different search engines for free. Skandy Plagiarism Checker: What is a plagiarism checker? Plagiarism checker is a tool or Android app which can detect the duplicacy of your article or content on the web. This is a very useful Android app for bloggers. 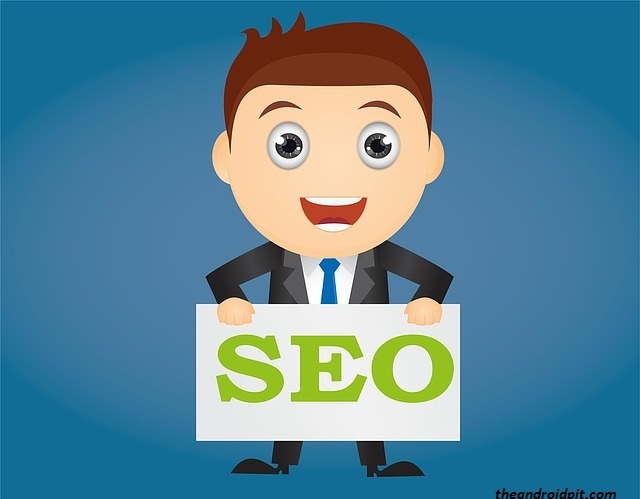 SERP Keyword Position Checker: This is a must have Android app for bloggers (in 2019) to find keyword rank for any specific keyword. This Android app shows you the top 300 SERP results for any keyword available on the search engine (Google and Bing only). Image Compressor: With the help of this Android app, you can compress or reduce the size of your images without losing its quality. As a blogger, you need to compress or reduce the size of the images before uploading those images on your blog. On using an uncompressed or heavy sized image on your blog, makes your blog post load slower, which will create a bad user experience. As an evergreen blogger, you never want to happen this thing. That is why, this Android app is very useful for every blogger. Blogger: If you have your blog from Blogger.com, then you badly need this Android app. This Android app gives you access to the admin dashboard of your Blogger website or blog. WordPress: If you have your blog in WordPress, then you really need to download this Android app. This Android app gives you access to the admin dashboard of your WordPress website or blog. Wix: If you have your blog from Wix.com, then you can use this Android app to manage your blog from your Android smartphone. This Android app gives you access to the admin dashboard of your Wix website or blog. Weebly: If you created your blog from Weebly, then you should use this Android app to manage your blog from your phone. Weebly application gives you access to your Weebly website dashboard. 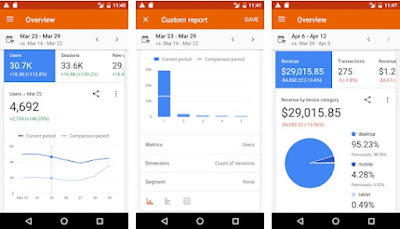 Google Analytics: With this Android app, Google Analytics, you can monitor the blog's real-time active users, user's location, behavior, daily traffic, traffic sources, site's bounce rate, referring sites and many more. This is the most useful and best must have Android app for bloggers by Google. Page Speed Insights: With the help of this Android app, you can check the speed of your website or blog. If there is something wrong with your website's speed, the app will suggest the perfect solution for your website or blog. 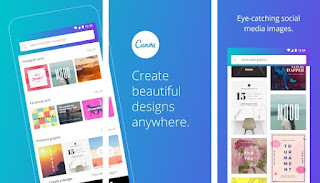 This is one of the best blogging app for Android in 2019. SpeechNotes: With the help of this Android app, you can write text without typing. SpeechNotes is a speech to text Android app for bloggers, writers, and thinkers. This is a best blogging app for Android. Mail: With the help of this Android app, Mail, you can create a professional e-mail address for your blog like - myblog@post.com, myblog@email.com, myblog@myself.com, myblog@consultant.com, myblog@graphic-designer.com, myblog@chemist.com, myblog@instructor.com and more 190+ domains to choose. Overall, this is a best blogging app for Android, which will help you to create a professional e-mail address. Quora: Just using the Quora, you can bring unlimited high-quality legitimate traffic to your blog, just by answering the simple questions related to the contents of your blog. If you are a serious blogger, you should use Quora. Quora will provide you with high-quality traffic to your blog on a long term basis. With the help of this Android app, you can manage all kinds of emails (as for examples - Gmail, yahoomail, Hotmail, zohomail etc.) from one app. This can a\be a very helpful app for bloggers. With the help of Google Photos app, you can save your all necessary photos into it. This is an online photo gallery app. As a blogger, I use Google Keep to make notes and records, set time and spot updates, mark off finished tasks. You can also do the same by installing this Android application. If you are a blogger and use an Android phone for blogging, then you need to use this application to manage all the files from the file manager. ES File Manager is free and multi-purpose. File Manager Android app - must have file manager app for bloggers. With the help of the Google Docs app, you can create, modify documents and spreadsheets in the safe and secure place. You can use different fonts, different types of texts, images. With the help of AdSense Android app, you can monetize your blog or website. You can earn a huge amount of revenue just showing AdSense ads into your blog or website. AdSense is the best and high paying ad network in the world. If you already monetized your blog with AdSense ads, then AdSense application can be a must have Android app for you. You can monitor your AdSense CTR to safeguard your AdSense account from getting banned by AdSense for illegal activity. With the help of this Android application, OfficeSuite, you can easily modify your Excel, Word, Pdf, PowerPoint files from your Android phone. You can access different formats of documents like - Pdf, PPT, DOC, DOCX, TXT, CSV, EML, XLS, RTF, LOG and many more. Watch the video below for detailed information. Feedly is the main Android application, which will let you know about the most recent news from your most loved blogs and YouTubers. It is an extraordinary spot to find the best websites on your specialty and to peruse posts from different bloggers. You can follow your most loved blogs from the Feedly app, and Feedly will push new updates from them when they upload new posts on their blog. If you purchased premium hosting to host your blog, then this Android app will make your work easily done from a mobile device. The vast majority of the premium hosting suppliers give SSH access to the server, and as you may know, here and there, SSH is superior to CPanel. With the help of this Android app, Juice SSH, you can connect with your server from your Android phone. And then you can do all the tasks or manage your server directly from your Android phone, without touching your PC. Medium: This Android application is for those bloggers, who created their blog from Medium. The medium app gives you access to the admin dashboard of your blog. YouTube is a free platform, where you can learn blogging tutorials from expert bloggers. There is something extraordinary in YouTube, that make them simple snares that get bloggers keen on watching and finding out additional. 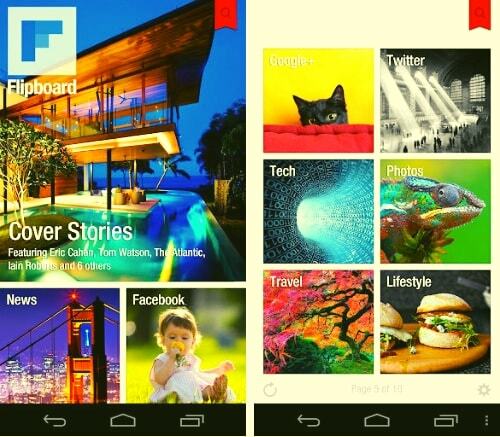 Flipboard: Flipboard is an Android application, by which you can browse the recent feeds of Twitter, Facebook, Google Plus from a single platform. This is very useful and time saver Android app for bloggers. Numerous bloggers are coordinating the Disqus commenting system onto their website or blog, which keeps the blog readers get attached with their blog. With the help of Disqus Android application, you can moderate, publish, delete and reply to your blog comments, without touching your PC. If you are a student and you do not have a credit card or debit card for international payments, you can use this Android app for international payment in the time of buying hosting, domain, SEO tools and others. PayPal is safer and secure to use than credit, debit or other kinds of cards. 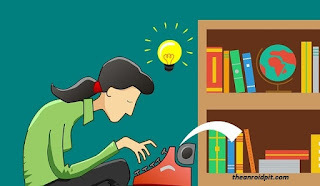 Most of the bloggers do not have enough time to read lengthy articles or posts, they may want to tune in to the sound and watch videos in a hurry. With the help of this Android application, you can manage your reading list from the web. As a blogger, this application will help you a lot. ColorCode finder is a free application for Android, by which you can find the color code from any image, web-page etc. Joomla: If you have Joomla blog, then you will need to download the Joomla Android app to manage your blog from your Android phone. IDM: As a blogger, you may need to download many types of files at a time from the internet. So, you can use this Android app to download anything from the web. This Android application lets you download faster without consuming extra unnecessary data. Here is the list of Top 51 Best Android Apps for Bloggers. Hope the article 'Must Have Android Apps for Bloggers - The Best Android Apps' will help you. Which Android app will be best useful for you as a blogger?